There's not much time so listen up. Go to the grocery store. Buy a bunch of canned items and non-perishable goods. Fig Newtons? I don't know. Chef Boyardee or something. Just get food. Also, buy a whole shitload of water. And even more pots to hold extra water. Should have told you earlier: before you leave, just plug up the bathtub and turn the water on. Let it run, it won't matter. Oh! Get yourself a shovel and a pack of cigarettes. As soon as you get home, fill up all the pots with water and, again, just keep the bathtub overflowing. Flood damage is nothing. I'll wait. All filled up? Good. Go outside and smoke a cigarette. Don't worry it won't be the cigarettes. 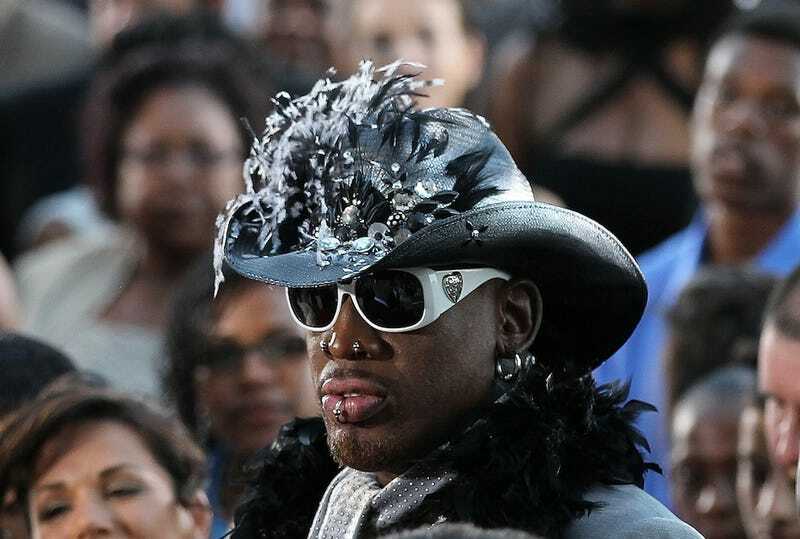 The American known as "the worm" is set to arrive Tuesday in Pyongyang, becoming an unlikely ambassador at a time of heightened tensions between the U.S. and North Korea. Rodman, three members of the Harlem Globetrotters basketball team and a camera crew from VICE television are visiting North Korea for a news show set to air on HBO in April. The trip comes two weeks after North Korea conducted an underground nuclear test in defiance of U.N. bans against atomic activity. Pyongyang says the test was directed at Washington.